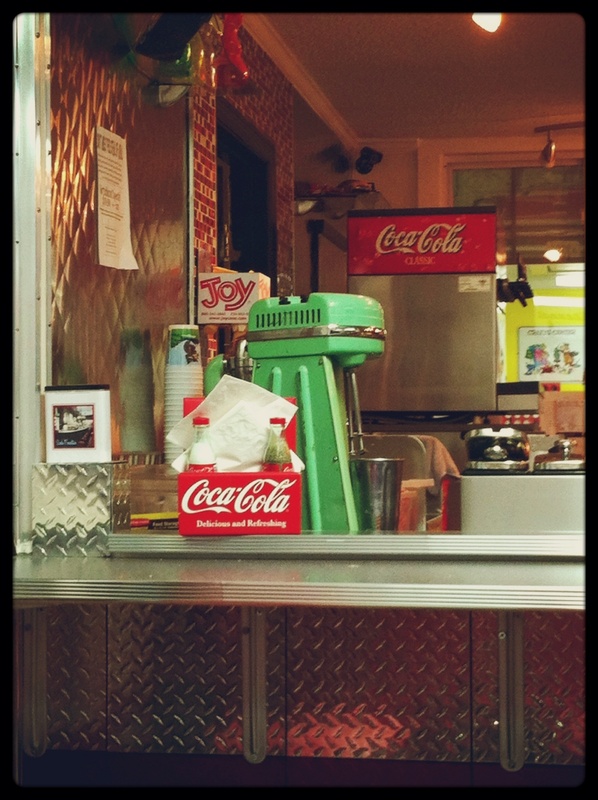 Hot Rod’s decor was classic 1950s diner with its red and silver booths and stools. 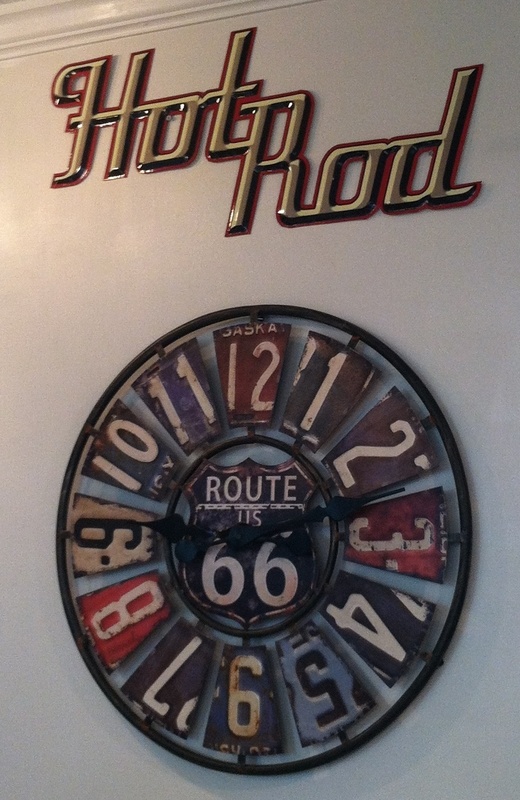 The walls were decorated with a clock made out of old license plates and other metal decor. 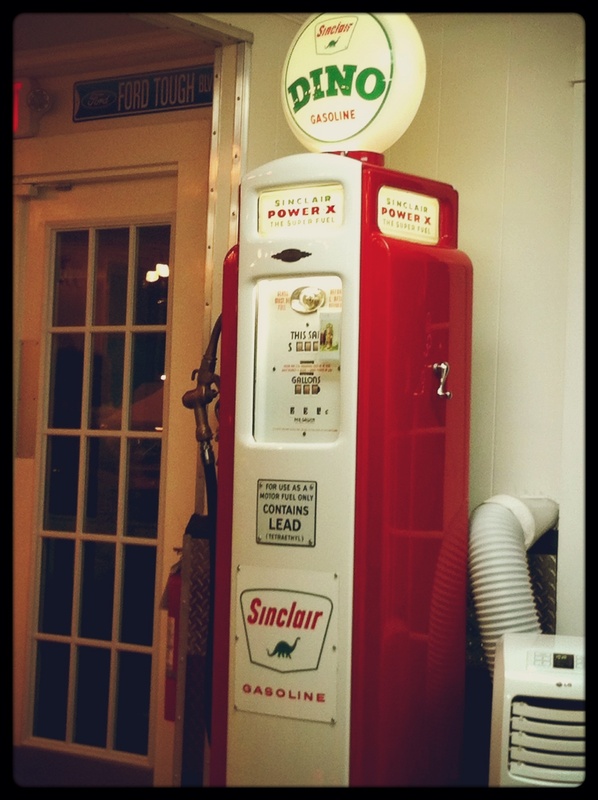 There even was an old gas pump near the doorway. The entire ambiance was just cool. Now lets talk about the stars of the evening. 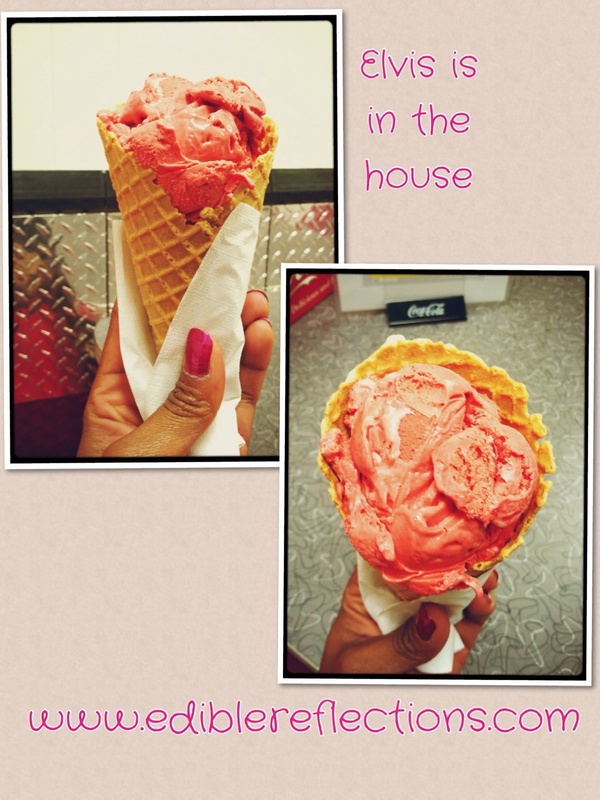 I had The Elvis (bright pink) in a homemade waffle cone. 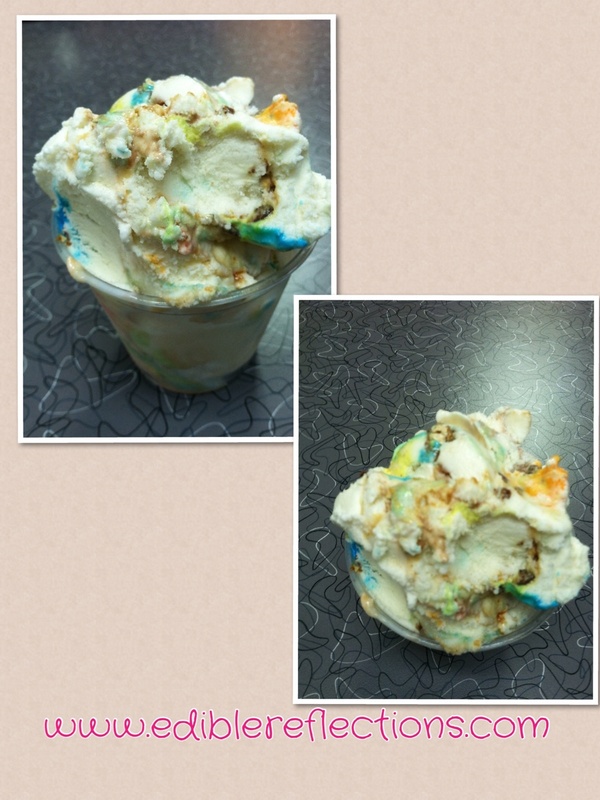 My husband had the Pic-a-nic (Baby Ruth, Milky Way, Heath bar, M&Ms and other stuff) in a cup. My daughter had the peanut butter chocolate in a homemade waffle come. Of course this was a whole lot more than she could handle. So I offered to help her. It’s tough being a mom 🙂 My son of course enjoyed scoops from everyone. I have to say that the ice cream was rich and it seemed never-ending. And I say that in a good way. The waffle cone was so fresh and crunchy that I could’ve had more of that all by itself. Going to Hot Rod Ice Cream Shoppe was an experience in itself. Next to it was the campground pool area. That night they had their dive in movie at the pool on a big screen. There were people moon-bathing on the pool deck or just sitting by the pool enjoying the movie Grease, ice cream and a beautiful Nashville evening under the stars. I don’t know about you, but it doesn’t get better than that.